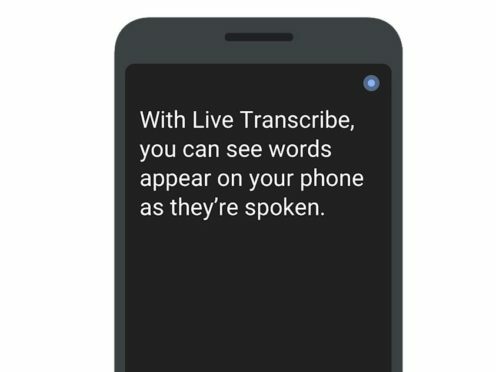 The tech giant has begun rolling out its Live Transcribe and Sound Amplifier apps to users worldwide through the Play Store and pre-installed on Pixel 3 smartphones. Users of the Live Transcribe app, which is still in beta, will be provided with an instant dictation when their smartphone is held up to others, supporting more than 70 languages and dialects. The Sound Amplifier app works when a user plugs in wired headphones, increasing quiet sounds in noisy environments to improve the clarity of speech. Google has been working on the technology with the Gallaudet University in Washington DC, a leading school for the deaf and hard of hearing. “We can now do things that weren’t even remotely possible a few years ago, like jump into conversations at the dinner table or casually join in when the opportunity arises,” said Christian Vogler, professor and researcher at Gallaudet University. Google spoke about its plans for hard of hearing tools on smartphones at its annual I/O developer conference in May last year. In the summer, it also announced a partnership with hearing aid maker GN Hearing to make devices compatible with Android. Apple already has some of its own accessibility assistance for iOS, including hearing aid support and a Live Listen feature for the AirPod wireless headphones.